"Another major exchange company, similar to Khanani and Kalia International (KKI), is operating out of Dubai," the FIA official said, adding that the owner of the said company goes by his alias 'Rangila'. The Federal Investigation Agency (FIA) on Friday confiscated Rs420 million in cash and arrested three suspects in Karachi as part of its crackdown against hundi and hawala dealers. 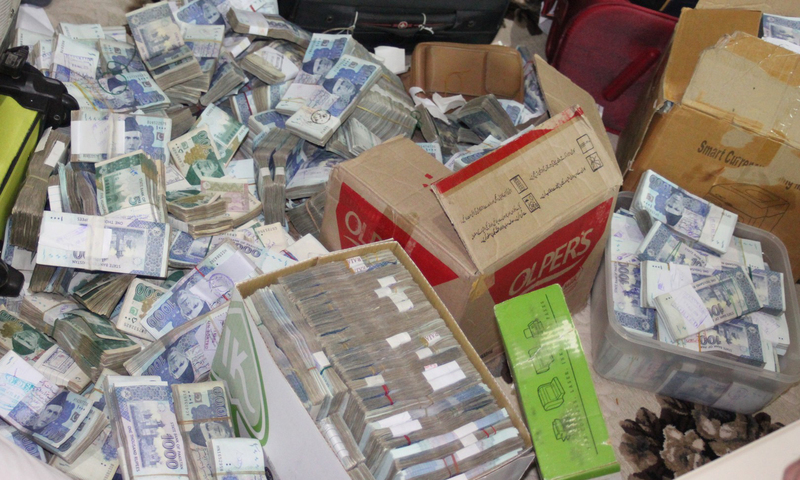 FIA Director Sultan Khawaja held a press conference where he said that FIA Sindh raided two centres of hundi and hawala activities, seizing hundreds of millions and detaining a trio of suspects, who were identified as Mohammad Rizwan, Kamran and Imran. It is pertinent to mention here that the now-defunct KKI was one of the largest and most sophisticated exchange companies in Pakistan. It infamously ran a parallel money transfer system for purposes of transferring money out of the country through illegal hundi/hawala channels. Khawaja further said that "the illegal outflow of money from the country can be stopped by centralising the money trail."